I’ve owned a ton of guitars over the years. I’ve managed guitar shops and even spent time on the road as a guitar tech. If you browse the photos on my web site you’ll find pictures of me playing some of the best handmade guitars in the world. But in the last two years you’ll have difficulty finding a photo of me in which I’m playing anything other than a guitar made by Roger Sadowsky. Like many jazz players, Roger first came to my attention when he designed a guitar to replace Jim Hall‘s infamous D’Aquisto. But it was a model he made for Jimmy Bruno that caught my eye. After 20 years of playing and owning hundreds of guitars, the neck on the Jimmy Bruno model was the most comfortable I have ever held in my hands. A guitar neck is a bit like a pair of jeans, they all fit a little differently. When you find the pair that’s just right, you wear the hell out of them. 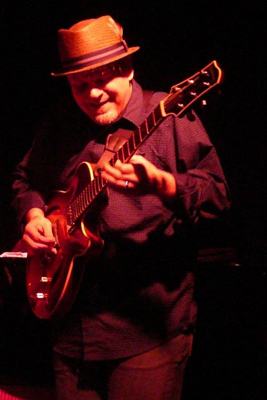 Five or six years ago, I bought a black Sadowsky semi-hollow body guitar that became central to the development of my guitar sound. After owning instruments from almost every era of Les Pauls, Stratocasters, Telecasters, ES-335s, ES-175s and the like, I found my home with the black Sadowsky. In fact, if you don’t see me playing it, then you see me playing its red twin – another Semi-Hollow model that Roger shipped to me earlier this year. 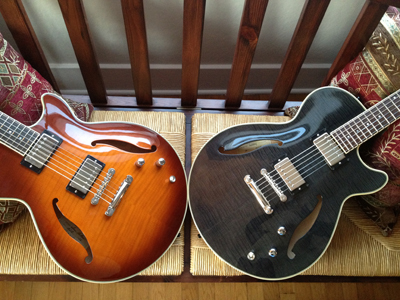 Now, in full disclosure, I have to admit that my Sadowsky guitars aren’t “stock”. Like most professional guitarists, I have modified them a bit. However, the modifications I have made to Roger’s instruments are significantly less than I have with any other performance instrument I have owned. For example, I often replace the 500k potentiometer that comes in most electric guitars, with a 250k “pot”. I find this” darkens” the tone of the pick-up in a way that sounds warmer to my ears. Roger does this stock in his instruments. I also often replace the electronics in many guitars with thicker wiring and better quality parts. There’s no need to do this with any instrument that comes out of Roger’s shop. I often get asked what sort of guitar a friend should purchase. In response I ask questions about what the player is looking for, who their guitar heroes are, etc… to get a feel for the appropriate recommendation. For example, if it’s a beginner player, I often recommend a Squier Stratocaster because it is a decent quality instrument at a rock-bottom price. 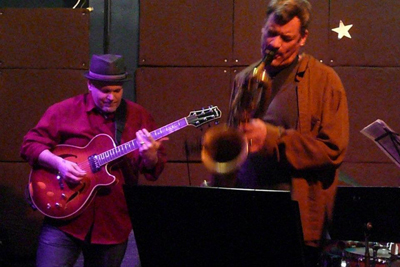 But if you say you want a sound like mine, or better yet – like John Abercrombie or Kurt Rosenwinkel, then you need to talk to Roger Sadowsky! This entry was posted in Musings on December 11, 2011 by Sunrise Pixels.